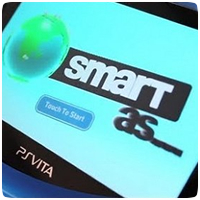 Brain trainer Smart As hits the PS Vita later today across Europe, covering the four key areas of logic, arithmetic, language and observation. The game is completely social too, letting you compete and prove that you are smarter than your friends, family, your city, country and ultimately the entire world. Take a look behind the scenes with John Cleese, who provides the voice of Smart As. You can also share and compare all your stats with other Smart As fans and brag about how smart you are on favourite social networks like Facebook and Twitter, all without leaving the game.